We’re continuing to welcome newcomers to the PSI MAP program (Model for Academy Philanthropy) and are pleased to assist those who contact us outside of those parameters. Please view the information on our website and get in touch with PSI if/when we can assist you. We continue to be grateful for an active core group that aided us at both the PSI conference and the education convention. These individuals are willing to remain active as an advisory group on behalf of education; If you have suggestions or comments please contact me, Lorena Hernandez, or one of these committee members—Cleopatra Trevilcock; Tanna Allison; Janel Ware; Melissa Keller; Arthur Gibbs; Lucy Hall; Andrew Lay. Just a reminder of the myriad of print, on-line, website and personal resources PSI has available for you. We are fortunate to be able to subscribe to the top journals on the field and we maintain files on all fundraising, philanthropy and nonprofit management topics. We have a fine library and lend you books. And of course, all of our staff are ready to respond to your questions. Please feel free to write to me with any needs and we’ll make sure you receive a response. Check out our website for webinars, our handbooks, our careers in fundraising handbook, and much more! Also in conjunction with the above topic, just a reminder to check out my book which is listed on our website which contains comprehensive coverage on the topic as well, Diversity and Philanthropy—Expanding the Circle of Giving. Also look at my website which keeps this topic alive, with new and current information as well as guest columns on various topics by people from many different cultures—www.diversityandphilanthropy.com. Sometimes we miss including donors of different backgrounds and traditions because we don’t understand their preferences for giving. It’s simply a matter of respect to honor our differences when it comes to philanthropy . . . and of course in our everyday lives. PSI just delivered a live-streamed webinar on donor-advised funds by Bill Stanczykiewicz of The Fund Raising School and the Lilly Family School of Philanthropy. We appreciate his excellent presentation. The PowerPoint will be posted on PSI’s website. Watch for our next and final webinar on planned giving and how it fits into a fundraising program. Presenters will be Jim Brown of Western Adventist Foundation and Consultant Jim Gillespie. I am currently working in nine different countries in Africa and continue to greatly appreciate the forward-looking professionals who are eager for information and training and ready to apply the principles. Many, of course, have already been doing fundraising and are seeing much success. My gratitude to Elder Ted Wilson and the General Conference for making this possible. For archived messages click here. A board needs to do more than just take up space. It needs to provide value to the organization. Unfortunately, many boards can be formless and useless. A lot of the time, the reasoning behind this lack of activity, is orientation. As soon as new members join, they need to be oriented into the organization and they must be told the expectations of work and participation. 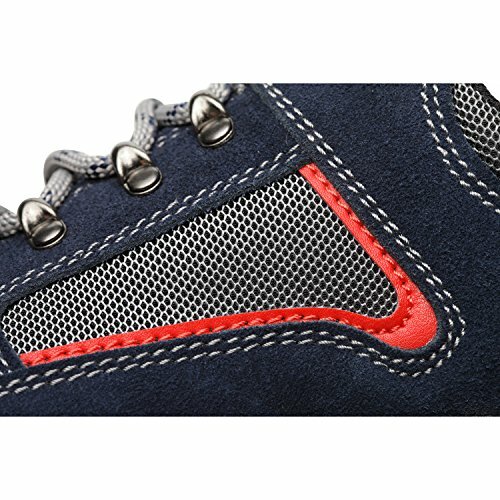 Optimal Men's Safety Shoes Steel Blue Blue Work Shoes Toe Shoes The responsibility of orienting new board members should be shared between the executive director, board chairperson and a few other board members. It should not be the sole responsibility of the executive director or of any one person. However, from my experience you only have a few board meetings to get the new members “on board” and get them rolling, otherwise they will fall into bad habits of expecting to do little or nothing. Board culture is ingrained and established very quickly for new members. 1. Introduce them to the organization. Make sure the executive director and other important leaders, sit down with them and go over the organization’s mission, goals, and objectives. It’s critical that the new board members have a solid understanding of the vision and mission of the organization. Have this take place prior to their first board meeting. 2. Give them a tour of the organization’s office and facilities. Make sure they “see and feel” what the organization is all about, and have them meet some of the clients who can tell them stories that the new board members can share with the community and others. Introduce them to key staff and volunteers. 3. Introduce them personally to each board member. Take the time to introduce them to everyone as key players, so they feel welcomed as an important participant. Provide the message that they are critical to the success of the organization and they are there not just taking up space. 4. Provide a board orientation manual with the basics. Make sure the board members know what is expected of them in terms of committee assignments, dollar amount of financial contributions, the role of the board in relationship to the executive director, etc. I still like the three ring binders that are tabulated with categories such as: history and background; goals and objectives, budget and financial information; fundraising, legal documents (by-laws and articles of incorporation), brochures and marketing materials; list and bio of board and staff members; personnel policies and procedures; etc. 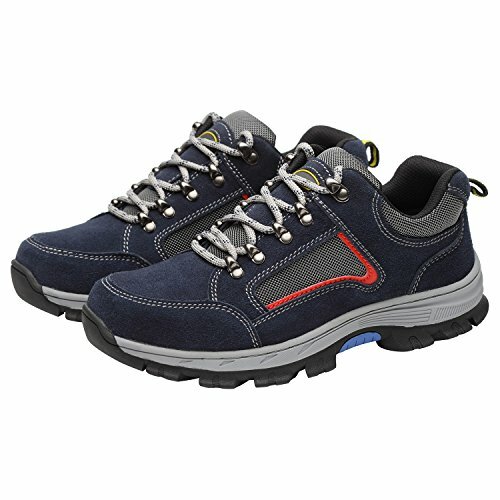 Steel Work Toe Optimal Blue Men's Safety Shoes Shoes Shoes Blue 5. Take them out to lunch. Make sure either the board president or the executive director takes the new board members out to lunch during the first month on the job. When you take them to lunch, give them an assignment to fulfill that will get them active right from the get-go. Make sure they “hit the ground running”. 6. Write them a welcome letter. The board president should write a welcome letter to each new board member that formally welcomes them into the organization and thanks them for their time, energy and expertise. 7. Assign them a buddy. Have the president of the board assign a new board member a buddy that will sit next to him/her during the first few meetings. This buddy could also go out to lunch with the new member, answer questions and make sure they are engaged and involved right from the beginning. 8. Provide them with necessary information. Give the new members information such as annual reports, auditor reports, strategic plans, job descriptions, etc. Include some past minutes of meeting and other materials that will help educate the new member. 9. Put them on the agenda. At the first board meeting, provide every new member an opportunity to talk to the board about their experiences, motivations, and passions. Within the next six months have them conduct a 10-15 minute educational session on an issue they are passionate about. This is a great way for the board to get to know the member and for the member to open up about themselves. Make sure you thank them for their time and participation. It is also a good idea to begin to collect their birthday, anniversaries and other significant events so you can acknowledge them throughout the year. Congratulations on any additions you have made to your board! What a great time at the 2018 PSI Conference! Go to our Conference page for more pictures. For questions and additional information, contact the PSI Network Connect Manager. We invite you to contact PSI any time you feel you need a consultant, at any stage of your fundraising efforts. We are here for any type of help, and we can even share carefully-selected consultant names or firms. Do you know someone interested in the field of Fundraising or someone in the field wanting a different challenge? 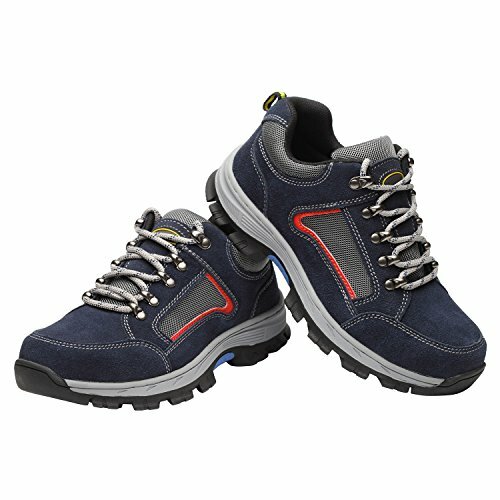 Be sure and direct them to our Men Beach Sports Barefoot Aqua Water Swim Shoes Heeta Shoes Swim Women Black for Socks f Dry Quick 5q7X1wC. There they will find not only who is hiring but also a place to have their resume posted for those seeking to hire. Fundraisers who want practice their test-taking skills before taking an influential professional certification examination now have a new aid. 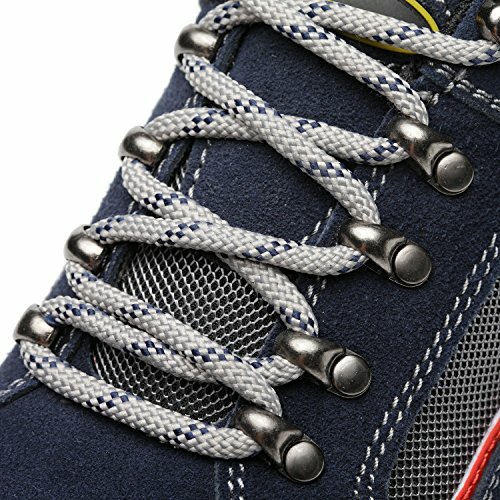 CFRE International, the organization that offers fundraising certification, has launched a new online practice examBlue Steel Shoes Toe Shoes Optimal Shoes Blue Safety Men's Work . “It’s something that fundraisers have been wanting for quite some time,” said Jeff Stanger, education-resources manager at CFRE International. The goal is to give fundraisers a sense of confidence before taking the four-hour, 200-question exam. It includes questions that are similar in difficulty to the actual exam. “This won’t suddenly make it easy but will help with the confidence that you have an idea of what you’re in for,” said Mr. Stanger, adding that it will be especially helpful for people who have been out of school for some time or who struggle with test-taking. Fundraisers are not required to get professional certification, but 6,050 of them currently hold the credential, most of them in North America. As of June of last year, 103 fundraisers received the Advanced Certified Fund Raising Executive credential, or ACFRE, which is administered by the Association of Fundraising Professionals. Many fundraisers say the certification is helpful in seeking new jobs and higher salaries and in reassuring donors and superiors of their professionalism. In addition to the full-length, 100-question practice test, people can take 20-question quizzes to assess their knowledge in specific subject areas. Fundraisers can purchase 30-day and 90-day subscriptions for the study tool. With the real exam, scores range from 200 to 800; a passing grade is 500 or more. About 75 percent of test-takers pass on the first try, Mr. Stanger said. CFRE International is also developing a study guide and other study tools that will be released over the next year. Most of the contact information that PSI will get from you in the future will come through this site. By opting into our email, you will have access to important information that PSI sends out from time to time. We’ve also included areas for you to add additional information about yourself, your organization, and your interests, in order to help us target your specific needs. Are you planning a building project—a new church, addition, school building, or Community Service building? Do you wonder how you should go about getting the funds? Does it seem like your campaign for funds goes on forever? Are your members or constituents tired of talking about money? If you have these questions and probably many others, Successful Fundraising is for you. Explore the options below to see which edition is right for you. A completely revised edition of the must-have resource for increasing your nonprofit’s bottom line. This thoroughly revised and updated edition of the best-selling book The Ask is filled with suggestions, guidelines, and down-to-earth advice that will give you the confidence to ask anyone for any size gift, for any purpose. Written in winning language, filled with sample dialogues, and offering a wealth of tips and tools, this book addresses common mistakes made when asking and shows how to correct each mistake, providing guidance and direction on how to make a great ask. If you would like to check out this book or another from our library, please call Lorena Hernandez 443-391-7171 or send an email to her at LorenaHernandez@nadadventist.org. 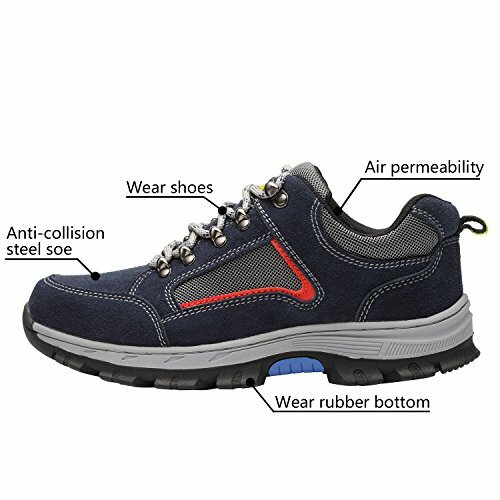 Steel Blue Safety Shoes Toe Blue Men's Optimal Shoes Work Shoes The PSI resource center has an array of documents, samples, articles, books, and other materials that will aid your professional activity and practice. © Copyright 2018 Philanthropic Service for Institutions. All rights reserved. Follow us on Twitter keep up with our latest news. Normal wide, but not fit wide or X-wide feet. 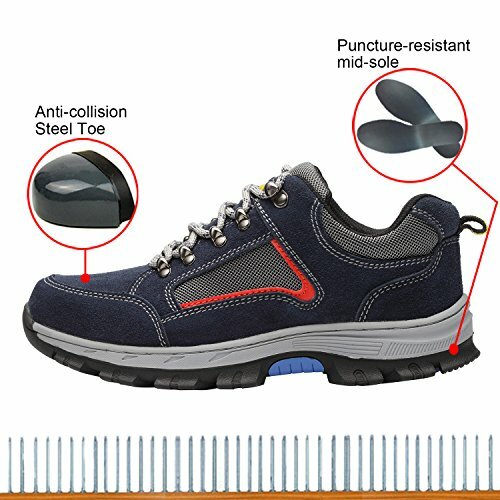 Function: Anti Smashing & Puncture & Slip & Folding,Resistant Oil,Resistant Acids & Alkali,Cushioning,Breathable.